I should start by saying that there is no such thing as "African Literature." There is only literature which happens to be written by people who live in countries that reside in the continent of Africa. I've never bought into the idea that Africa can act as a homogenous identity for the variety of peoples, histories, mythologies, and religions that make up the would-be-nations of that continent (would-be because the national boundaries we know today never existed prior to colonialism). Yet even when I say "I don't buy into this," I still use phrases like "World literature" or "African literature," despite the implicit othering embodied by them. English -- France, etc.). Really, the opposition is lingual. Since the publishing world is centered in the Anglophone world, and more specifically in the U.S. and U.K., all things not-English and not-Western is "other." A double othering. And so when I talk to my students about "African literature," I'm always careful to remind them that there is no such thing as "Africa" the country. We have to talk about actual countries, and not within the context of their value to the West, but their value to their specific geographic, social, and political "climate." That's not something Westerners find easy to do. 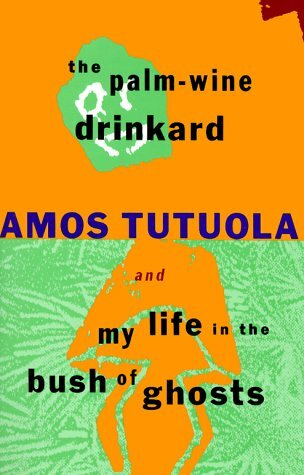 When talking about Amos Tutuola's The Palm-wine Drinkard, for example, many of us automatically make connections with literary works from the Western literary tradition. One of my students likened certain scenes in Tutuola's novella to Shirley Jackson's "The Lottery," which is an interesting connection indeed, but one which privileges the Western tradition over the native one. * But there's something unfair about expecting students, or anyone, to be able to connect with a text from a culture they don't know anything about. There are, of course, other problems here. Simon Gikandi, if I recall correctly, had enormous difficulties pulling Westerners out of this worldview, in part because so much of the Western tradition is moralistic, leading us to make moral connections over explicitly literary ones. Gikandi argued this by way of his own teaching experiences as an "African scholar" in a "Western world." 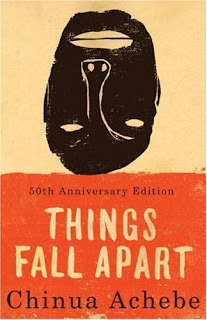 In reading Chinua Achebe's Things Fall Apart, an enormously important literary work from a Nigerian writer (he has yet to win a Nobel for his work, though Wole Soyinka, another important Nigerian writer, has), Gikandi's students often focused their attentions on moral questions about the indigenous characters of the novel. Gikandi was concerned with this moralistic approach because students seemed unable to detach themselves from the legacies of colonialism, showing, in my opinion, that those legacies had rooted themselves in the Western psyche. The question is not "what is Chinua Achebe up to," but "why is Okonkwo so violent against his wives and why does his culture condone infanticide." These two problematics bring me back to the start of this post. While we can expect students (and readers) to disentangle the othering discourse of "African" and "World literature," it is much more difficult to have the same expectations about the moral or literary questions/connections made by Western readers. Westerners are as human as any other "people," and that means that we will make connections between things in any way we can. That's how we make sense of the world. As such, I'm not sure where to put the line between "appropriating connectivity" and "appropriation and devaluation." Perhaps someone else has some thoughts on that. I do agree with Gikandi, however, that focusing on moral questions is a kind of infantilization of non-Western traditions. Why is it that we can read a novel by an American author writing about strangely mundane things (everyday morality on the ground) and miss the moral problematics there, and yet cannot do the same with a Nigerian novel? Is it because Americas are so utterly removed from the world of colonialism -- the colonial world as it appears to those most recently affected by it -- that everything appears sensationalist in Things Fall Apart? 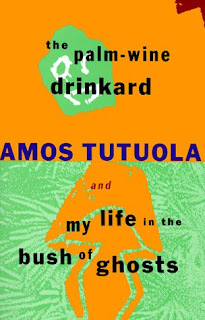 But then what do we do about The Palm-wine Drinkard, which at no point pretends to be a story about "the world as it is," opting instead for the world of myth, folktale, and, in a certain sense, traditionalism? Surrealism? So few of my students are widely read in genre fiction of any stripe, which means their experiences with the unusual (by Western standards) are severely limited. Tolkien is hardly the "great wonder of fantasy literature" that he once was. He's become mundane in the Western tradition. Then again, the same could be said of Tutuola He's telling us tales relatively familiar to Nigerians. He simply put his own spin on it. I think I've rambled enough on this. The last thing I'll say is that I hope someone challenges me on the use of "Western" and "Non-western" in the comments. Those terms deserve criticism, because they are wholly inadequate. What do you think about all of this? The comments section is all yours. *I say this knowing that native literary traditions have been irreparably influenced and changed by contact with the West.